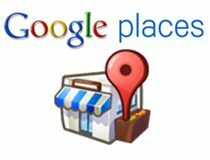 There are a lot of folks frustrated with the transition of Google Local (formally Google Places) and Google+ blending together. Reviews and updates are not being posted nearly as fast as in the past. A lot of reviews are just not showing up and one of our clients got all of their reviews totally wiped out without any change on their part. The purchase of Zagat is very cool to get your overall rating… but now anyone who wants to post a review is REQUIRED to have a Google+ account – just a gmail address is not longer sufficient. Business owners are NOT happy with that at all because it equates to people less likely to review them. So is this Google’s way of forcing folks to get a Google+ page since it really has not caught on with a lot people yet? Hopefully Google will get it together soon and work out the kinks. In the meantime if you need some help with the ins and outs this is a good article on Google+Local.